I have been catching up with old friends lately. Over the years, everyone has had shifts of the wind in their lives. It is always inspiring to hear their stories about how they adjusted their sails. Some have ended up in unexpectedly successful places. Others are still on their journeys but are going in good directions. 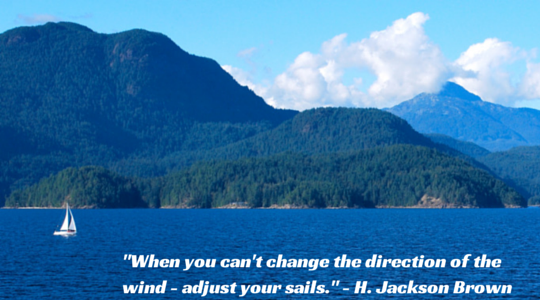 I hope this quote inspires you to adjust your sails when the winds change!